George Adelman, noted neuroscience editor, died June 26 due to complications of an injury after a fall. He was 89 years old. Adelman joined MIT in 1963 as the managing editor for the Neurosciences Research Program (NRP), developed by MIT professor of biology Francis Schmitt, bringing together the top scientists in related fields to focus on the new discipline of neuroscience. The new organization, a kind of think tank of resident and visiting scientists, had as its core 36 associates, world-class scientists representing the life sciences as well as physics, mathematics, and molecular biology. The program included six three-day "Work Sessions" per year, each bringing together leaders in an emerging field of brain studies to present current research and to consider unifying theories. These numerous sessions were edited by Adelman and published as NRP Bulletins. Other NRP meetings also aided the growth of neuroscience, especially the Intensive Study Programs of 1967, 1972, 1977, and 1980, which mapped the boundaries of neuroscience; each resulted in a compendium, again edited by Adelman. With more than 150 neuroscientists participated in each meeting, Adelman became influential and known internationally for his work. 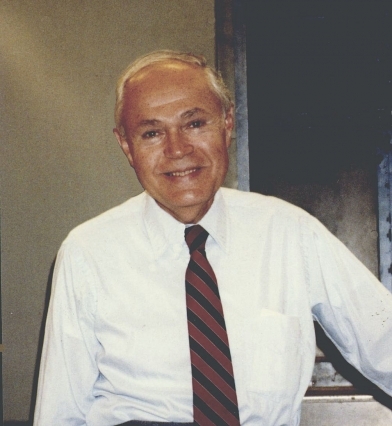 Adelman left MIT in 1982 when the NRP transferred to another institution. After several years of consulting, he joined Elsevier Publishing in 1985 as their neuroscience editor. There he created the well-known "Encyclopedia of Neuroscience," using his contacts to bring in articles by more than 700 authors. He published several updates, which were translated into other languages. Adelman rejoined MIT in 1993 as a visiting scientist in David Cohen’s Biomagnetism Group at the Francis Bitter Magnet Lab, where he produced his second edition of the neuroscience encyclopedia. After this group phased out in 1996, he continued in the Department of Brain and Cognitive Sciences, where he worked on a neuroscience history and used his editing skills on such projects as a neuroanatomy textbook by Professor Gerald Schneider. Adelman was active until his last several years.